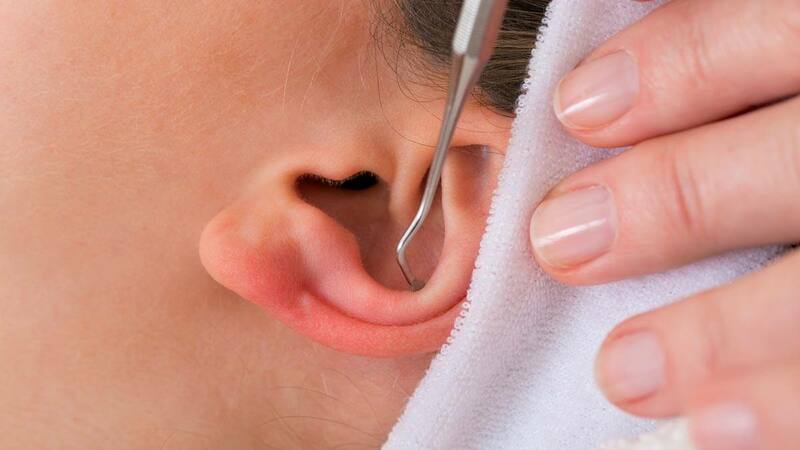 We know that blackheads can pop up anywhere on your face, but who knew you could get not one, but two, in your ears?! Women's Health reported that user TychaBrahe posted an eight-minute video of a blackhead extraction in the Popping subreddit. She wrote, "I never knew blackheads like this developed in ears until I saw the first of these. Now, I don't know what is more disturbing, that they exist or that they are CONNECTED." Same, Tycha. Same. Set in a spa in China, the clip shows a pair of pointed-tip tweezers trying to get as much gunk out from the deeply clogged pores. But what's really disturbing is that when you think it's over, there's actually more to remove.